No doubt, email marketing is no longer a super secret tactic, used only by the most innovative online retailers. Today, emails have become a default way to connect with consumers. 89% of marketers say that email marketing is their main channel for products promotion. And this is 5x more effective method than Facebook or Instagram when it comes to sales. The main problems of many online stores include spam emails of bulk simple newsletters, lack of automation and poorly configured workflow. 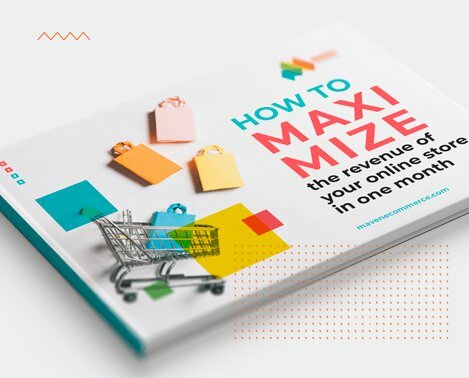 We’ve analyzed more than 200 eCommerce stores and their emails workflows in order to outline the most successful cases and practices. The statement “You only have one chance to make a first impression” is true in many situation, from social life to your eCommerce business. For many companies, welcome emails are an ideal method to make first impression unforgettable. Welcome email series have a much higher read rate (more than 34%) than an average email campaign. According to the results of our clients, we identified that series of welcome emails is more effective than a single email. Just take a look at the dashboard one of our customer, an online retailer of developmental childrens’ toys in the US. The company has about 10,600 new subscribers, and a single welcome email generated only 183 orders. After implementing a welcome series, they boosted the number of orders by 37% and resulted with 250 orders. Subscribers, that receive a welcome note, show 33% more long-term brand engagement. Second welcome email will help you to attract customers who have not made purchase after the first email. You can easily continue the communication with them by sending a “ Welcome Gift”, such as a coupon code or a discount for new subscribers. The latest eCommerce statistics shows that 69% of online shopping carts are abandoned. So, that’s why it’s crucial to have a well-tuned cart abandonment email series. Instead of default email, that automatically will be sent via a platform, we recommend to create custom abandonment cart emails with a targeted offer. So, you’re having the only one hour to win your customer back. Do not try to offer discounts in your first email. Do not try to sell, but try to help. You need to understand the reason why a customer has changed his mind. Maybe, because the process was too long? Did he (or she) has technical issues with the website or payment process? The Re-reminder is an email similar to reminder, except timing and a free shipping offer. If you can offer a free shipping on an order, you’d better do it with a Re-reminder email. Shipping cost is the most popular reason why customers leave their carts. If you are not ready to offer a free shipping, instead of it, you can add cross-sell recommendations, or unique benefits about your products. Still have not convinced your customer? Then, it’s time to think how to push the sale. Sometimes, price is the final barrier before the purchase, and the discount will be the best way to overcome it. Remember! Customer journey never ends after the purchase. The existing customer is a real gold mine for marketers. Over the next sixty days, give customers a chance to engage with your company. Provide educational content: videos, articles, etc. A great example of post-purchase email is Sephora’s post-purchase follow up. The email includes everything that we’ve mentioned above. Ok, now you have a workflow of your email marketing strategy, and the next step is an automation of this routine activities. If you want to be successful online and keep up with increased online demand, your eCommerce strategy should include integration with major business automation tools (CRM, ERP, eMail and others) and custom systems. Maven eCommerce integration agnostic service is based on the deep analysis of every e-store individually. We offer the best tools and options to empower your eCommerce ecosystem, taking into consideration your specific needs and results you want to achieve. Try our robust integration services and get 5% off. Contact Maven digital experts and get a free consultation.